In Humble, carpet cleaning will be your last worry if you choose to use KIWI Humble Carpet Cleaner today. You realize that you need to get someone out to handle carpet cleaning for you. The reason you realized you needed help was because you decided to move your dining room furniture around. Lo and behold you found out that those peas that you were so proud of your son for eating, he really wasn’t eating them at all. There is this huge mess behind your china cabinet. The carpet is stained and you have a big mess to clean up. It kind of makes you wonder just how long he has been scraping them off his plate and not eating them. Carpet Cleaning Services of Humble, Texas KIWI Humble carpet cleaner service professionals know just how to handle your carpet cleaning needs. Peas are no problem, either. KIWI has handled all types of carpet stains and high traffic area carpet cleaning. Yes, you will need to pick up the majority of the mess but then all you need to do is call KIWI, your carpet cleaner in Humble, TX and let them remove those nasty stains for you. KIWI offers high-quality cleaning that uses our green carpet cleaning solution and deep-cleaning cleaning method. Unlike steam cleaning, our green carpet cleaning company will get your carpets cleaned to perfection with a quick drying time. We can also get rid of pet odors with our odor removal services. KIWI also offers services in tile and grout cleaning, upholstery cleaning where we can combine carpet and upholstery cleaning, and rug cleaning with a specialization in area rugs. 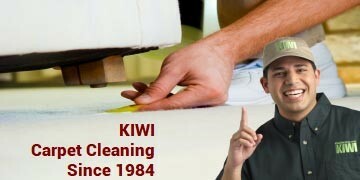 KIWI also offers commercial carpet cleaning and other commercial services for your business needs. KIWI is the most trusted carpet cleaning company in humble with our focus on quality and excellent customer service. Our customer service representatives are ready and able to answer any question or concern you may have. KIWI also offers a 30-day guarantee on all of our services so if you should run into any issues, give us a call and we will be back out as soon as possible to offer a complimentary re-cleaning. KIWI also offers our one-year carpet cleaning service that allows you to get your carpets cleaned for just $4 a room year-round. Give us a call today to schedule an appointment!